Matthew Barszcz is a labor & employment attorney in Dinsmore's Louisville office. Matt focuses his practice in the areas of labor and employment. His practice includes all aspects of pre-litigation investigation, evidence and witness preparation, trial and appellate work and responding to and participating in agency investigations, including the Equal Employment Opportunity Commission, the National Labor Relations Board and the Kentucky Commission on Human Rights. Matt has experience handling issues involving Title VII of the Civil Rights Act, the Family and Medical Leave Act, the Americans with Disabilities Act, the Kentucky Civil Rights Act, the Fair Labors Standards Act, the Kentucky Wage and Hour Act and many other state and federal statutes and regulations governing employment disputes and wage issues. Beyond litigation, he also routinely advises clients on issues involving employee handbooks, non-competition agreements, implementation of new policies and procedures and issues of employee discipline. Matt has given numerous presentations on social media policies, employee handbooks and prevention of workplace harassment for employers. Understanding that each client has different tolerances and objectives in dealing with employment matters, Matt is passionate about learning his clients’ industries and gaining insight into their operations. While always prepared to vigorously proceed through litigation, he partners with his clients to conduct a thorough evaluation of the case, examining the risks and options before crafting a unique strategy that meets their needs. This approach allows his clients to resolve matters before expending time and resources in litigation, and has resulted in numerous successes in obtaining dismissal at early stages of litigation. 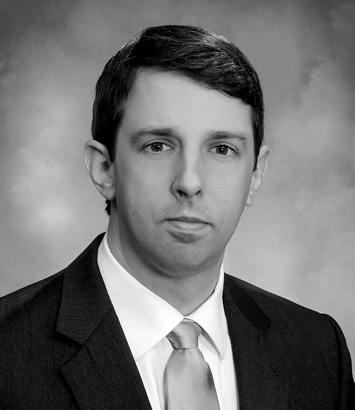 In addition to labor and employment, Matt also has experience in the areas of premises liability and insurance coverage litigation, where he has successfully litigated a case to a jury verdict in favor of his client and has obtained favorable rulings concerning the scope of insurance coverage.